The journey had started at Folly Bridge near Oxford, England and ended five miles away in a village of Godstow. To while away time the Reverend Dodgson told the girls a story that, not so coincidentally, featured a bored little girl named Alice who goes looking for an adventure. The girls loved it, and Alice Liddell asked Dodgson to write it down for her. He eventually did so and on 26 November 1864 gave Alice the manuscript of Alice’s Adventures Under Ground. Some, including Martin Gardner, speculate there was an earlier version that was destroyed later by Dodgson himself when he printed a more elaborate copy by hand (Gardner, 1965), but there is no real evidence to support this. According to Dodgson’s diaries, in the spring of 1863 he gave the unfinished manuscript of Alice’s Adventures Under Ground to his friend and mentor George MacDonald, whose children loved it. On MacDonald’s advice, Dodgson decided to submit Alice for publication. 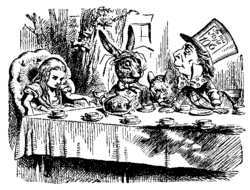 Before he had even finished the MS for Alice Liddell he was already expanding the 18,000-word original to 35,000 words, most notably adding the episodes about the Cheshire Cat and the Mad Tea-Party. 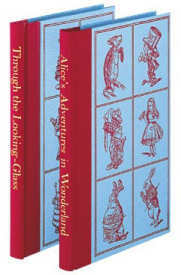 In 1865, Dodgson’s tale was published as Alice’s Adventures in Wonderland by “Lewis Carroll” with illustrations by John Tenniel. The first print run of 2,000 was shelved because Tenniel had objections over the print quality; a new edition, released in December of the same year but carrying an 1866 date, was quickly printed. The entire print run sold out quickly. Alice was a publishing sensation, beloved by children and adults alike. Among its first avid readers were young Oscar Wilde and Queen Victoria. The book has never been out of print since. 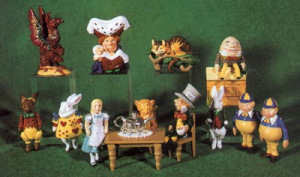 Alice’s Adventures in Wonderland has been translated into over 50 languages, including Esperanto. There have now been over a hundred editions of the book, as well as countless adaptations in other media, especially theatre and film. Alice continues to be a cultural phenomenon today, spawning hundreds of collectors’ items, dolls, websites, and works of art. Copyright (C) 2000,2001,2002 Free Software Foundation, Inc. 51 Franklin St, Fifth Floor, Boston, MA 02110-1301 USA Everyone is permitted to copy and distribute verbatim copies of this license document, but changing it is not allowed.